Tripp Lite's compact, cost-effective striker surge protector provides 108 joules of surge protection for PCs, peripheral devices, and all electronics. Featuring 7 AC outlets, the striker incorporates technology that filters out destructive line noise preventing it from affecting your equipment. Key hole slots in the back of the unit allow it to be easily mounted on a wall. This Tripp Lite surge protector also includes built-in diagnostic capability in the form of green LED to indicate whether surge protection is available. If this LED ever goes out, simply return the striker to Tripp Lite for a free replacement. Additionally, an illuminated master switch provides one touch power control over all components. If you need reliable AC line surge protection fort a desktop, home computing, or office application, order the striker. With built-in diagnostic capability, this Tripp Lite surge protector is just what you need to protect your electronics! 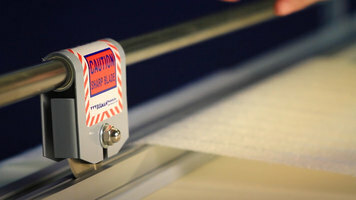 Learn how to quickly and easily use the Bulman rotary shear cutter with these simple steps! 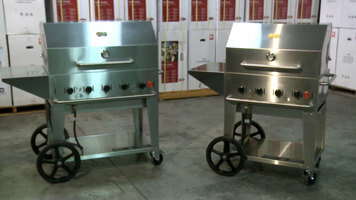 Check out this video on the outdoor portable charbroilers offered from Crown Verity! Precision, quality and durability are the defining features of the 30 inch and 36 inch models offered. Garlic is such a versatile ingredient that nearly every cuisine on the planet uses it (Italian salad dressings, Chinese stir fry, Spanish marinades, etc.). 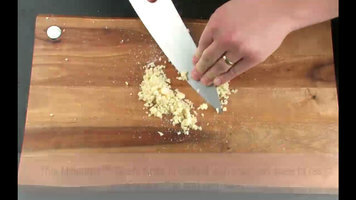 Here, Mercer demonstrates the simple process of making your own garlic paste at home.